Start your day by sleeping in late & waking up to a full breakfast complete with local, organic fruits & juices, farm fresh eggs, coffee, assorted breads & jams, all of the mint tea you can handle…and maybe even a Moroccan pancake or two! 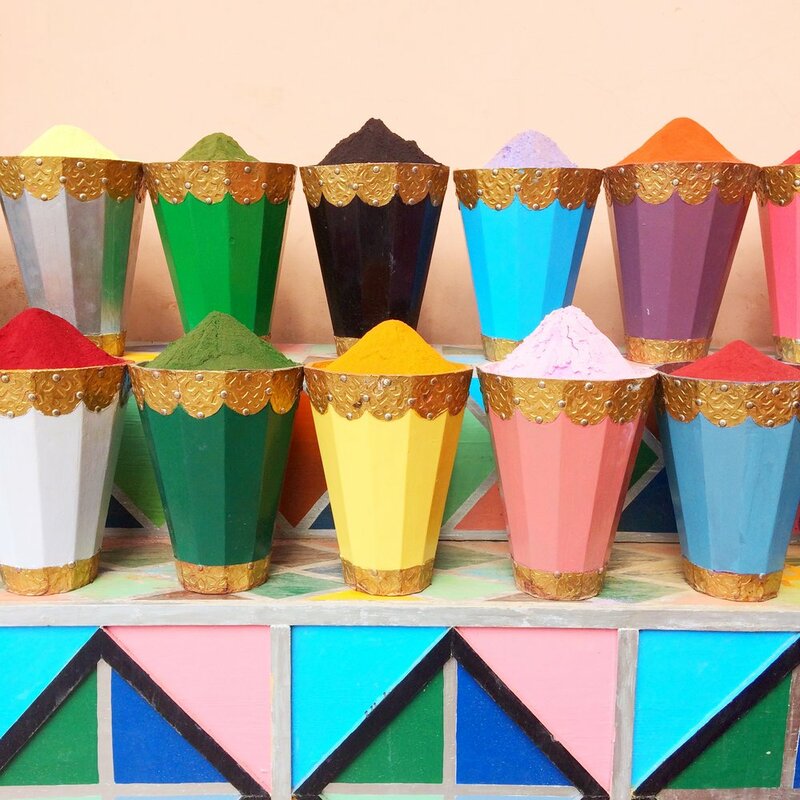 Then we’ll spend the day exploring the magic of the ancient souks, before heading back to our private riad so you can relax & prepare for an evening tour of the famous Djemaa el Fna, sampling many of the culinary delights Marrakech has to offer. After our excursion we’ll likely stay up late into the night, talking about the things that matter most & unexpectedly making the kind of connections that last a lifetime. You'll have a chance to visit waterfalls, shop with local craftsmen & explore ancient palaces....whatever your heart desires. Our flexible schedule allows you to experience the city AND refill your heart, mind, body & soul in the best way that you see fit. The Lost & Found experience is a new kind of retreat. Your days aren’t packed with activities from sun up to sun down, or full of field trips to well-known tourists spots along with the obligatory photo shoot to prove to the world that you were there. Instead, this experience is all about opening you up to a way of immersive travel that allows you to deeply connect with the culture. 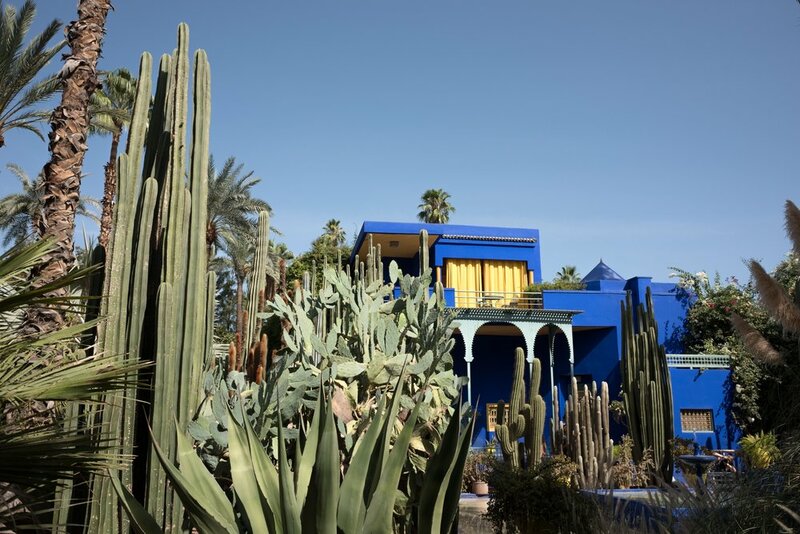 Yes, you’ll participate in some amazing, hands-on experiences that will uncover the secrets of Marrakech & a uniquely Moroccan way of life…..but I’ve also created time for you to connect. With the people & the land. With the incredible women joining your group. With yourself. Because years of traveling the world solo have taught me that the most transformative experiences require both, relaxation & adventure. Connection & solitude. This L&F retreat is an opportunity to let go of everything you think you are in your everyday life….so that you might open up to the larger possibility of who you could become. 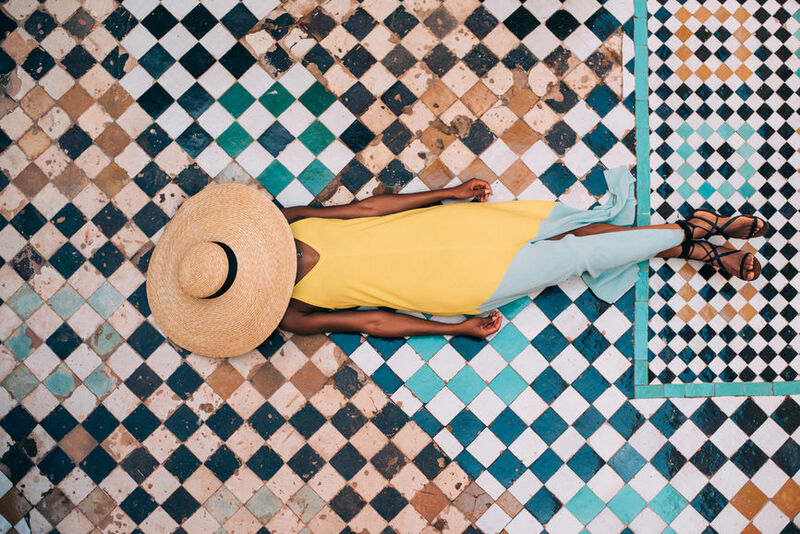 Part solo travel exploration, part thoughtfully curated group travel adventure, this is a one-of-a-kind travel journey centered around Rest, Adventure, Conversation, Food, Reflection, & Flow. A full day experience in the rural Berber village of Ijoukak Valley including breakfast and lunch with a Berber family, plus a tour of the 12th century Tin Mal mosque. 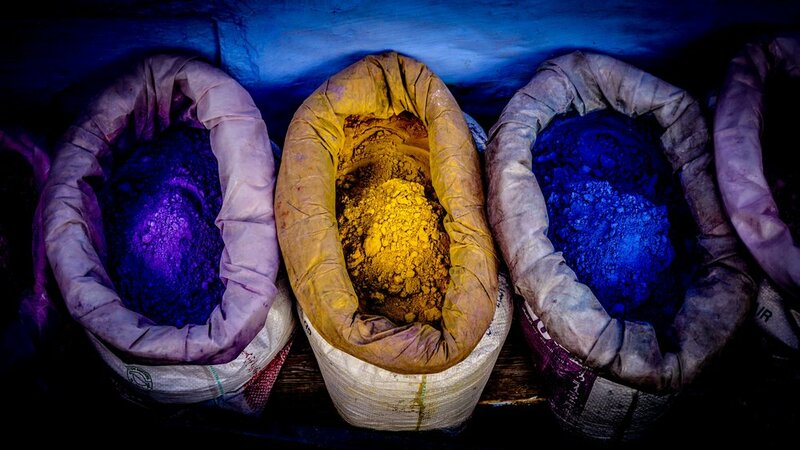 Guided food tour of the Medina highlighting the Moroccan culinary experience + Islamic history. 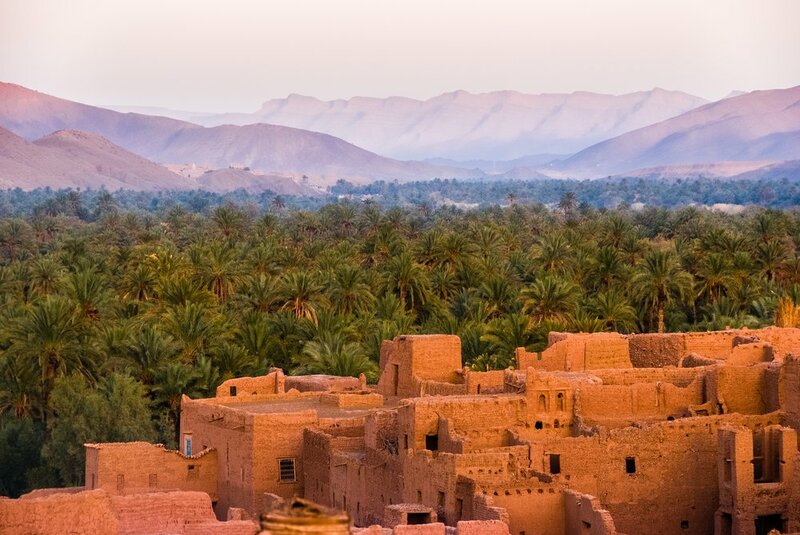 You'll eat your fill of regional specialties & traditional spices while working your way through hidden areas of the ancient Medina that you'd never find on your own! Payment #4 March 30, 2019: $429.40. You're an: adventurous woman who loves to explore new cultures & welcomes the opportunity to learn about new lands, languages & ways of life. Someone who enjoys trying new foods. A woman who enjoys pushing the boundaries of her own comfort zone & values EXPERIENCES above THINGS. A woman who doesn't need to depend on a tour guide & relishes charting her own path...but also enjoys having a community forged by deeper connections. If you're someone who doesn't take herself too seriously, loves to laugh, is easy-going & enjoys meeting new people, then you're the type of woman I'm looking for. And you're gonna love this trip. This trip is not right for the: Men. High maintenance women. Picky eaters. Women who can't bare to be unplugged from WIFI. Those who expect to be hand-held, managed, catered to, are afraid to be by themselves, don't like to walk or get annoyed around non-English speakers. If you have a Type A personality, are over dramatic, or expect a very Western experience & want to feel like you’re in America while you’re abroad...this isn't the trip for you! So if you're reading this & thinking, "This is for me", CLICK THE BUTTON BELOW to secure your space! Please note that due to the logistics involved with planning a trip like this, all deposits & installment payments are non refundable. It is highly encouraged that you get travel insurance which will protect your investment in the unlikely event you need to cancel.